Millions of Americans are deficient in vitamin B12—or they may be at risk for vitamin B12 deficiency from pernicious anemia, bowel problems, and other common neurological disorders such as multiple sclerosis, fibromyalgia, or brain fog. It is estimated that two out of every five people are deficient in vitamin B12, or about 40% of the population. The truth is, you may be deficient in vitamin B12 and not even know it. Vitamin B12 is mainly available in animal foods, such as fish, chicken, and meat—meaning vegetarians and vegans are susceptible to a vitamin B12 deficiency. A vitamin B12 deficiency is also common amongst the elderly; research shows it affects 10 to 15% of people aged 60 and over. A 2008 study from the University of Oxford found that vitamin B12-deficient older adults are six times more likely to develop brain shrinkage, a main cause of dementia and Alzheimer’s disease. The study observed 107 people between the ages of 61 and 87 during a five-year period. In fact, chronic fatigue syndrome, depression, Parkinson’s disease, and Alzheimer’s disease are all neurological conditions that have been associated with low levels of vitamin B12. How do you know if you are deficient in vitamin B12? The deficiency will often mimic features of old age-ataxia such as memory loss, slowed reactions, muscle weakness, depression, disorientation, confusion, and memory loss. A beefy red tongue is another common symptom. Other signs of deficiency include loss of hearing, tinnitus, incontinence, skin problems, alcoholism, or premature grey hair. If you are also taking folic acid (vitamin B9) supplementation, it can mask the symptoms of a B12 deficiency. A blood or urine test will give you a clearer indication if you have vitamin B12 deficiency. Blood levels lower than 200 picograms per milliliter (pg/mL) are considered deficient, according to many medical opinions in the U.S.; however, European and Asian countries consider the normal range to be between 500 and 1,300 pg/mL. 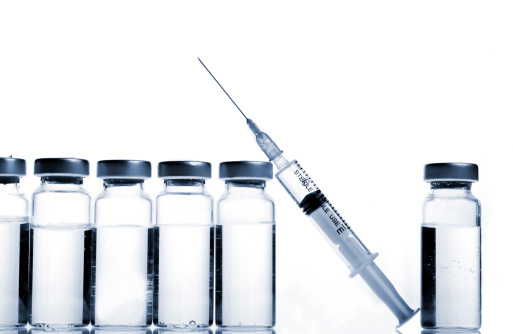 Should You Inject with B12? Even if you obtain B12 from food—organic eggs, salmon, grass-fed beef, or milk products—nutrient absorption can be an issue. A B12 deficiency can be corrected with oral methylcobalamin lozenges. However, older adults often have issues with the absorption of oral vitamin B12, and injections are sometimes recommended as an alternative. The majority of conventional doctors will recommend and administer cyanocobalamin vitamin B12 injections. Under any circumstances, do not take cyanocobalamin—it is considered the synthetic version of B12, which contains the toxic agent cyanide in small amounts. Methylcobalamin, hydroxocobalamin, and adenosylcobalamin are the natural forms of vitamin B12 injections. Methylcobalamin is typically the best option because it contains methyl, which is needed for methylation in the body. Vitamin B12 injections can effectively improve fatigue, immunity, and stress, and correct B12 deficiency. All you need is a 5/8-inch intramuscular injection needle of vitamin B12. Your doctor may administer the shots or teach you how to inject yourself with vitamin B12—they’re typically given weekly, bi-weekly, or monthly based on the condition. Vitamin B12 injections may not work for everyone. Consult your doctor or holistic health professional if your deficiency symptoms have not improved after 30 injections. Other than the rare vitamin B12 allergic reaction, injections of natural B12 are considered safe. Voglatzoglou, A., et al., “Vitamin B12 status and rate of brain volume loss in community-dwelling elderly,” Neurology, 2008; 71(11): 826-832. “What is vitamin B12 deficiency? What causes vitamin B12 deficiency?” Medical News Today web site, last updated June 12, 2015; http://www.medicalnewstoday.com/articles/172774.php, last accessed September 8, 2015. “Vitamin B12,” National Institutes of Health web site; http://ods.od.nih.gov/factsheets/VitaminB12-HealthProfessional/, last accessed September 8, 2015. Fallon, S., et al., “Vitamin B12: Vital Nutrient for Good Health,” The Weston A. Price Foundation web site, July 28, 2005; http://www.westonaprice.org/health-topics/abcs-of-nutrition/vitamin-b12-vital-nutrient-for-good-health/. Baik, H.W., et al., “Vitamin B12 deficiency in the elderly,” Annual Review of Nutrition, 1999; 19: 357-377.